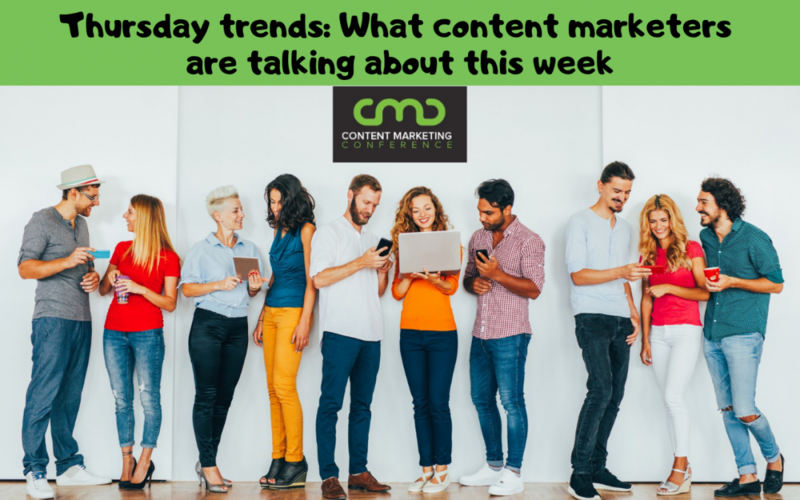 This week’s Thursday Trends will brush the gunk off your content marketing strategy and leave it minty fresh. If you think that the desire to have a fresh, tingly brushed mouth is because humans have always had to brush their teeth since the beginning of time, then you will love this article. The author shares the secrets marketers use to create habit loops that transform unknown products into household staples. In this read, you’ll take a historic journey with the marketing genius that used cues and rewards to take brushing teeth from a passed over luxury to a twice-daily ritual. If you’re marketing your content on social media, then don’t miss this list Forbes pulled together of the most enlightening social media and content marketing blogs. These five killer blogs offer daily, updated info from the industry’s top experts on social media marketing and the hottest tools available. They’re also a fantastic source on the latest updates on algorithms, features, and releases that directly affect your content strategy. Subscribe to these blogs to keep your social media game sizzling. Did you know that even though 60% of content marketers publish at least one new post a day, the average number of social shares have dropped by 89%? With the massive influx of information coming in, readers no longer have the time or interest to read every post from the sites they follow. In this article, the Drum breaks down the four steps for how data journalism helps marketers create new content that’s breaking news and orchestrated to go viral. Forbes has pulled together ten of the latest content marketing industry facts and data based on research in this handy list. Get the scoop on content strategy and platform trends like what’s surpassing Facebook traffic, what 88% of digital marketers are doing, and what 90% of successful content marketers prioritize. Also get stats on consumer habits like where 71% say they would be willing to spend their money and how many sites buyers visit before making a purchase. Discover seven of the hottest B2C content marketing strategies based on the trends and statistics represented in this juicy infographic from Digital Marketing Philippines.